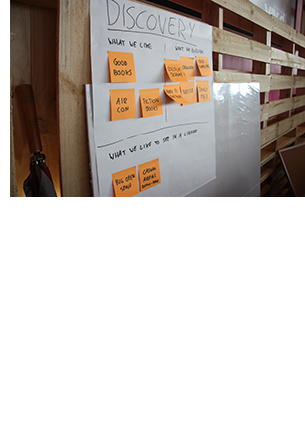 Design Emergency is a program that introduces students of all ages to design, and design thinking skills. The program helps students understand the way designers work and equips them with the same tools to help them improve the lives of their family, school and wider community. Students taking part in the Design Emergency program create prototypes, develop personas, use their imagination to think outside the box. The program provides opportunities for students and teachers to work with practicing designers. Design Emergency will travel with CUSP as part of the learning program. Some CUSP designers will work with students on a challenge of their choosing. The schools involved will be drawn from the local area near the touring venue. Read about the Design Emergency that took place at Casula Powerhouse Arts Centre in August 2013, with forty students from Casula Public School working with CUSP designers Stephen Mushin and George Khut. For further information on Design Emergency visit the Object Design Emergency website.